The difficulty for the UK now is in crafting a fresh response to the continued effects of Russia’s brazen attack. When England struck their winning penalty against Colombia at the end of a tense night of football on Tuesday, old assumptions crumbled. Had the team exorcised its fear of shoot-outs? Could they reach the final? And would the British Government really maintain its official boycott of Russia’s FIFA World Cup, imposed after Moscow’s attempted assassination of former spy Sergei Skripal in Salisbury in March? Or, as Russian media taunted, would it relent and send Prince William, perhaps, to an England–Russia semi-final? Russia’s brazen chemical weapons attack on the UK – the first on European soil since the Second World War – continues to have casualties four months later. 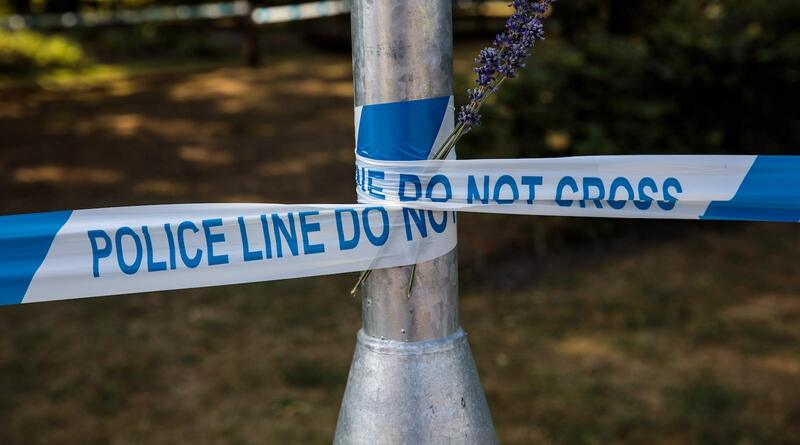 The final question was rendered moot on Wednesday, when investigators concluded that two people found unconscious in Amesbury, only 13 kilometres from Salisbury, had been afflicted by the same Novichok-type nerve agent that poisoned Skripal and his daughter. The working assumption is that the latest victims came into contact with residue from the original batch. If so, Russia’s brazen chemical weapons attack on the UK – the first on European soil since the Second World War – continues to have casualties four months later. The difficulty for the British Government now is in crafting a fresh response. In March, the UK deployed compelling evidence of Russian culpability to persuade more than 20 allies and partners, from Canada to Australia, to kick out more than 100 Russian intelligence officers, in the largest coordinated expulsion in history. That was a diplomatic coup, and most likely did real and lasting damage to Russia’s capacity for covert action and espionage. But it will be far more difficult to persuade allies to act again, not only because the low-hanging fruit has been picked – there are fewer known Russian spies remaining to expel – but also because the attack is already seen to have been punished. The UK will be tested on at least three fronts. First is the European Union, where France and Germany played an important role in supporting the UK in March. Will they stand firm again? Notably, Italy’s decision to expel two Russian spies was made by a caretaker government, and protested by the right-wing League party; the League is now the most powerful force in a new, populist-led government. Second is the G7. The group’s summit in June was overshadowed by US President Donald Trump’s histrionics and eventual disavowal of the communiqué. But despite American and Italian calls to readmit Russia, the UK persuaded all six of its allies to form a Rapid Response Mechanism (RRM) to counter “hostile state activity”, including coordinated attribution of cyber or physical attacks, and joint work on a “common narrative and response”. As Russian propaganda ramps up, this could be the institution’s first test. The third battleground is the Organisation for the Prohibition of Chemical Warfare (OPCW), the global watchdog for chemical weapons that confirmed the use of Novichok in March. The UK won a major victory at the OPCW little over a week ago, winning a vote that granted the body the right to assess not only whether chemical weapons had been used, but also who had used them. Russia fiercely opposed the move, shielding both itself and its Syrian ally. The organisation’s new powers may prove relevant sooner than expected. This flare-up of a fading crisis comes at a fertile diplomatic moment. The NATO summit is one week away, and Trump’s bilateral meeting with Russian President Vladimir Putin a few days after that. As the World Cup enters its latter stages, several world leaders are likely to travel to Russia, including French President Emmanuel Macron. Britain will be watching carefully, perhaps anxiously, for signs of solidarity and support. Vietnam has long sought to calibrate its defence posture in the shadows of great power competition.